THQ Nordic has just revealed three new games for Nintendo Switch. All titles are expected to launch for the console in 2019 and will be available both digitally, and from retail stores. Being the lovely bunch that we are, we've gone ahead and provided you with trailers (apart from for the first game - sorry! ), information, and feature lists for all three titles in one convenient place. Make sure to check them all out for yourself below. Sphinx and The Cursed Mummy is a third-person action-adventure inspired by the mythology of ancient Egypt. Travelling the world via magical portals to foil the evil plans of Set, you, as the titular Sphinx, will need to use your wits, agility, and special powers - as well as your reluctant friend, The Mummy, to help find the stolen magical crowns of Egypt. Can Sphinx stop Set and save the world? That's down to you. In The Book of Unwritten Tales 2, you take control of four different characters in a fantasy world, solving tricky logic puzzles in classic point-and-click style along the way. The game promises over 20 hours of gameplay, filled with a "thrilling" story, a colourful cast of characters, and some genuinely good humour (as seen in the trailer below). This one actually released on the Wii U back in 2016. We gave the game a 'Good' 7/10 score in our review, praising its "pleasing mix of adventure, humour and some head-scratching puzzles". - Four playable heroes. One of them is pink. Each game is set to launch for £26.99 / €29.99 / $29.99, arriving on Switch in "early 2019". Do any of these take your fancy? Will you be keeping an eye out for more information over the coming months? Let us know with a comment. Not that hyped for them yet, but I do love more games. 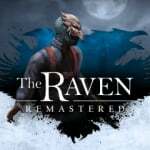 The Raven Remastered looks like it might be fun to check out. So no-one is hyped about the Spinx and the Cursed Mummy? That's convenient. Was in a nostalgic mood today for some platformer games from the GC/PS2 era & was gonna get Sphinx for my PS2. No need now! Switch it is! Great to see more games coming, I'm excited. Looks like a big bag of Meh! @Captain_Toad I am! I had a blast playing this game on my PS2 back in the day. I’m shocked it’s getting a rerelease tho considering no one seems to have remembered it. But I’m definitely happy it is. I might pick up Sphinx as I liked it on the Gamecube but never finished it because of the game ending bug. I don't know much about the other 2 though. Never actually played the game, only coming across it in a Nitro Rad review on YouTube recently. As a platformer kid from the N64/PS1 & GC/PS2 era, it definitely coloured me interested. Nice, bit surprised they aren't announcing Timesplitters but oh well! None of those are Darksiders 3. Never finished Sphinx, though I enjoyed what I played! For $30 it better be a remaster though, otherwise I'll just stick with the GCN version. The wife is gonna love Sphinx on the Switch! One of her childhood games. I played it on her PS2 in our early days, good game. Now we just need Kya the Dark Lineage on Switch. Been waiting for the expected Switch port of Sphinx since they remastered it on Steam...devs weren't too secretive about their intent at the time. Other two are cool too I guess. Sphinx is a great 60 fps GameCube game. They better not cut the frame rate down while increasing the resolution! It's cool that it's coming to Switch! Nice, Sphinx is a solid title. The other two don't interest me, sadly. I was hoping for some Darksiders. 1 and 2. 3 is out of reach for the Switch. Sphinx was a respectable Zelda clone. Decent. Sphinx and The Cursed Mummy not bad but graphics almost boring and dizzy is quite old graphics. Perhaps I'm Stuck while playing Mission to finding Powerful Magical Artifacts. 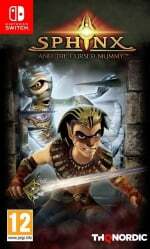 Sphinx and the Cursed Mummy was so beautiful looking on the GameCube! I'd imagine this will be a straight port with a little up in resolution. Might get it. Sphinx was such an underrated game, loved it on GameCube. Is it just a straightforward port or will it be remastered at all? None of them got my interest but good for the fans I suppose. Don't get Book of Unwritten Tales 2. 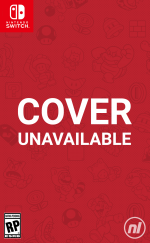 The Wii U version had a game breaking bug that was unavoidable and never patched which made it impossible to save after a certain point early in the game. It was basically unplayable because of it and I have no idea why Nintendolife's review didn't mention it unless they played the whole game in one 15 hour binge or something. @Captain_Toad im huped for Sphinx was a outstanding game hope they make a sequal if sales are good since ending hinted at a sequal. Nice to see Sphinx in there. Such an awesome and underrated Game I came across by accident. Still, I already purchased it on PC some time ago to re-replay it, but still, a solid recommendation. @Zuljaras I've been watching a lot of Darksiders 3 footage. I it is a reach but I definitely think the Switch can handle it. Never played any of these. They may be worth a look. Haven't played Sphinx and the Cursed Mummy, so eyes on that. Unwritten Tales on the WiiU was buggy, though, so I don't feel like paying again. Not until I know it will actually run properly, anyway. At least with the Switch there are plenty of other games to choose from. Would trade all this for Darksiders 3 on Switch. Sphinx is a PS2 game! woohoo, Sphinx and the cursed mummy! Day1 buy over here. @Captain_Toad Sphynx was one of those games I always wanted to play but never got around to. Will check it out this time. I remeber this and Beyond Good and Evil came out around the same time, and they were both marketed as Zelda-like games. Prince of Persia SoT was there too. Victim of a crowded holiday release lineup. @HeroponRiki It could be patched on the Switch. Oh snap Sphinx! Buying sooooooo buying! Actually, Sphinx and the Cursed Mummy was a great mini Zelda clone with some very clever puzzles. I was sad the game was not a bit longer, and that the series did not continue, but it was the best non-Zelda Zelda on the Gamecube. However, no way am I paying that price for it. £26.99 for a Gamecube game. F"ck right off. I am so annoyed by the pricing of many games on the Switch e-Shop with hardly a good sale. @judaspete This was more like Zelda than BGE. BGE had far too many stealth sections. want Wreckfest for Switch... Come on Thq Nordic, shouldn't be that hard. Uh, nice. Sphinx and The Cursed Mummy was a hidden gem of the GameCube era. A Zelda Light. Yay more old games I never wanted before, don’t want now... please make new games instead. Never heard of any of those before. I can’t say I’m excited for them. Meanwhile where’s Darksiders? ANY Darksiders? They all look good. The Raven looks the most interesting. Darksiders 1 and 2 or meh from me! Hopefully they've fixed the potential game-breaking bug in Sphinx. Either way, I'll definitely be getting all 3! @maruse That's how it goes when a company's whole release schedule is stuff they found like dumpster diving. Darksiders was their was their best find ever while digging through the bankrupt wreckage of THQ. I'm kind of expecting the original to come to Switch because Nordic (to everyone's shock) did release it for the Wii U. I don't know about the new one. I guess it depends on how much effort it is to optimize it for the Switch. Not too familiar with any of these games. But they are games that have been released elsewhere before right? Or maybe the names are just so generic that they sound familiar as a result. I had to take a bit to remember these ganes. You know a console has made it once it starts getting super obscure games like these. But I can't help but love the charm and nostalgia. Also, that trailer for Unwritten gave me a chuckle. I'm not interested in any of these unfortunately. Would prefer any Darksiders. I really wish they’d release the first two Darksiders games for Switch already. 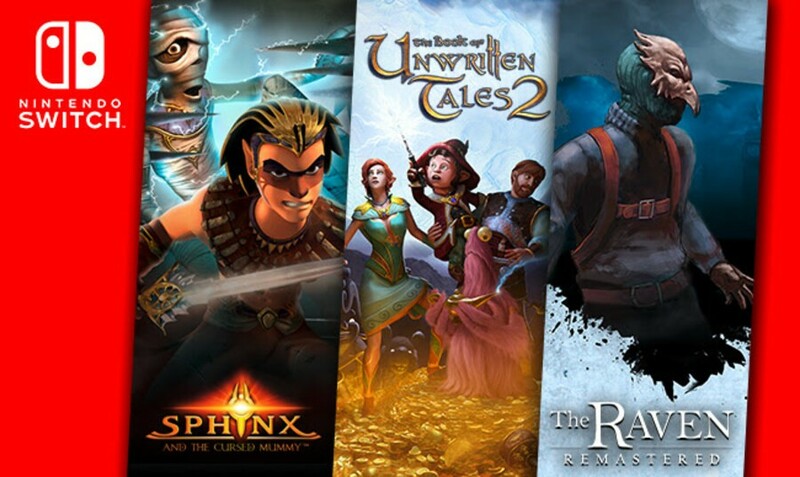 Sphinx is a great addition, just need THQ Nordic to announce something Darksiders and Timesplitters for Switch. Thanks THQ, but I already have Sphinx on the Gamecube, and the other two I can easily buy for $5 to $10. If you have retropie, they can be had for free. DS3 would be something to get excited for. Excuse me for not gushing over the latest retro game, or low budget trash being released on the Switch. I thought the Switch would be more than that, but I guess I was wrong. For all people curious about Sphinx and the Cursed Mummy, here's a trailer and some footage from the original game on PS2, and below that from the HD Steam re-release, so you can compare the two and get an idea of what to expect. The Steam version is reviewed as VERY positively, and from my own experience with the GameCube version, I can only agree. I also agree with the general criticism, that the game's camera isn't always ideal, and the game is a bit on the short side, especially considering it's a Zelda-type of game, which usually represents many hours of gameplay. But the game does have some replay value, especially because the first run will probably be a lot of trial and error, because of the puzzles, which vary from very easy to more difficult, depending on your experience with this type of game. All three games that I never played, so they're welcome prospects! @Deihnyx : wow, good news. Bring on TimeSplitters!